SING TO LEARN: A FRIEND IN DEED! I’m pretty sure most people value strong, healthy relationships. These come in many different guises, from family members, neighbours and friends, to a host of significant others, who cross our paths along the journey of life. However, relationships are not always smooth sailing, and a little help from a friend may be just what’s needed to help steer them back on course. The focus of today's post is friendships during the 'tweeny' years, and I’m delighted to welcome a friend to children everywhere, Annie Fox, M.Ed., as a guest on my blog! Annie is an internationally respected parenting expert, family coach and trusted online adviser for teens. Her latest book, The Girls Q&A Book on Friendship, for girls ages 8–12, with its unique, Q&A format, is sure to be a hit, not only with ‘tweeny’ girls, themselves, but also with their parents, teachers and carers. Having navigated these childhood years myself, and mediated many a student conflict, in my role as a teacher, I was only too happy to oblige, when approached to review Annie’s latest, wonderful offering! Annie champions the cause of young girls everywhere with this delightfully illustrated, insightful publication! ‘The Girls’ Q & A Book on Friendship’ provides the perfect, resource for opening up dialogue between teachers, parents, and the ‘tweenies’ in their care. Annie’s genius for getting into the minds of today’s youth, combined with her warmth, wisdom and practical, expert advice, helps them to navigate the very difficult and often challenging field of adolescent relationships. Her friendly voice validates the girls’ feelings, then provides skills and helpful suggestions for making responsible choices for resolving the conflict situation. She manages to do all this, while at the same time, reinforcing the need to act with kindness, respect, honesty, empathy, and to maintain the dignity of all concerned. As a teacher and a parent, I see the enormous benefits of owning such a timely publication. It is a definitive guide for equipping girls for building strong, healthy relationships, now and in the future. It’s the book we’ve all been waiting for. WELL DONE, Annie! Nuala: As a teacher, I see how mean and hurtful girls can be to each other at this age. How would you go about dealing with girls who are in the same class, can’t stand each other, and are mean to each other at every opportunity? Be patient. Be calm. Exude confidence in the girls’ ability to be creative-problem solvers. Make sure you provide every girl a chance to share ideas for making things more peaceful. Take notes on a white board as the girls brainstorm. End the meeting with action steps to begin the next day. If this doesn’t improve the situation, I’d suggest you get parents involved along with the school counselor. Nuala: We live in a period of high migration what advice would you give to girls who arrive from other countries, and find themselves being excluded by the other girls, who have been friends for years and already formed their friendship groups? 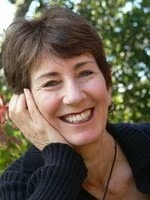 Annie: Stories are a wonderful way to engage students in ‘big’ topics. There are many excellent early and middle grade titles that focus on being the “New Kid” whether from a different city, state, or country. It is also a common theme in YA fiction (for tweens and middle schoolers). Get recommendations from your school librarian or the children’s librarian at your public library. After you’ve chosen your book(s) read the book as a class. Lead book-group discussions that explore the points of view of different characters. “How did ____ feel about not being able to speak English?” “How did _______ feel when her teacher asked her to be the New Girl’s ‘buddy’ for the day?” Give your students plenty of opportunities to think, talk and write about their own experiences (past or present) being an Insider vs. an Outsider. Be creative with a project-based learning assignment to research other cultures that are represented in your overall community and present that research to the class. When we lead students with our own inclusive attitude toward “new kids” by modeling friendship and empathy, we help our students develop into people of good character. Annie: Thanks for the shout-out to The Girls’ Q&A Book on Friendship. I wrote the book in a simple Q&A format with the idea that any 8-12 year old girl could read it on her own, with a friend, and/or with a parent. 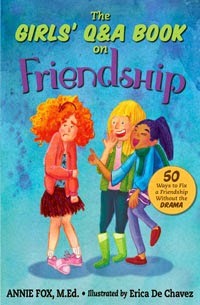 Using the book’s Q&A as a discussion driver, girls can really learn practical strategies for calming down and finding the courage to speak up for themselves in a friendship, (not something that comes easily to most girls.) I’d also advise parents who have daughters dealing with friendship drama, that Mom and Dad follow the book’s advice and calm down too! LOL. Seriously, we don’t do our best parenting or mentoring when we are “down in the trenches” with our upset girls! Modeling self-control is key as we talk about friendship issues and as we listen to our daughters. After all, managing our destructive emotions (anger, hurt, frustration, jealousy, etc.) is imperative to effective communication, especially in the age of Social Media where so many friendship dramas play out! Nuala: There is a lot of talk about bullying these days. Do you think it is more prevalent, or are we just not as prepared to ignore it, as happened when we were at school? Annie: Without a doubt we live in a faster, edgier, louder and less civil society than when we were children. Social media and the prevalence of media in general has brought our kids face to face with lots of negative role models when it comes to being “nice” and treating other people with respect and compassion. As a result, kids watch what passes for entertainment and political discourse and take away the message that “To be a grown up means to be aggressive and disrespectful to anyone who gets in your way OR does not agree with you.” It’s sad and sometimes scary when I see how kids are adversely affected by our culture of cruelty. But I wouldn’t be a character educator if I didn’t believe that parents and teachers have a lot of positive influence on kids and teens. We have more work to do than our parents and teachers had in the area of re-enforcing core values in kids. We need to make it a daily priority to help kids develop into adults of good character. My parenting book, Teaching Kids to Be Good People is a good starting place. Nuala: There are many positive measures in place, in schools these days. There are programs such as Peer Support, where older students lead sessions to mentor younger students, helping them to resolve conflict and develop resilience. What else would you like to see happening in schools? Annie: I’d like to see more schools embrace the model of Restorative Justice. It is an active process, involving students in acknowledging harm done (through peer conflicts) and repairing the damage done. When done consistently and with integrity, restorative justice can have an enormously powerful impact on individual students, groups, and school culture. Thanks Annie, a true friend indeed! Keep up your wonderful work and all the best with this and all of your publications. ©Lyrics: Nuala O’Hanlon, B.Ed; Cert.Teaching / Music: Kathryn Radloff, B.Arts (Hons) Psych.